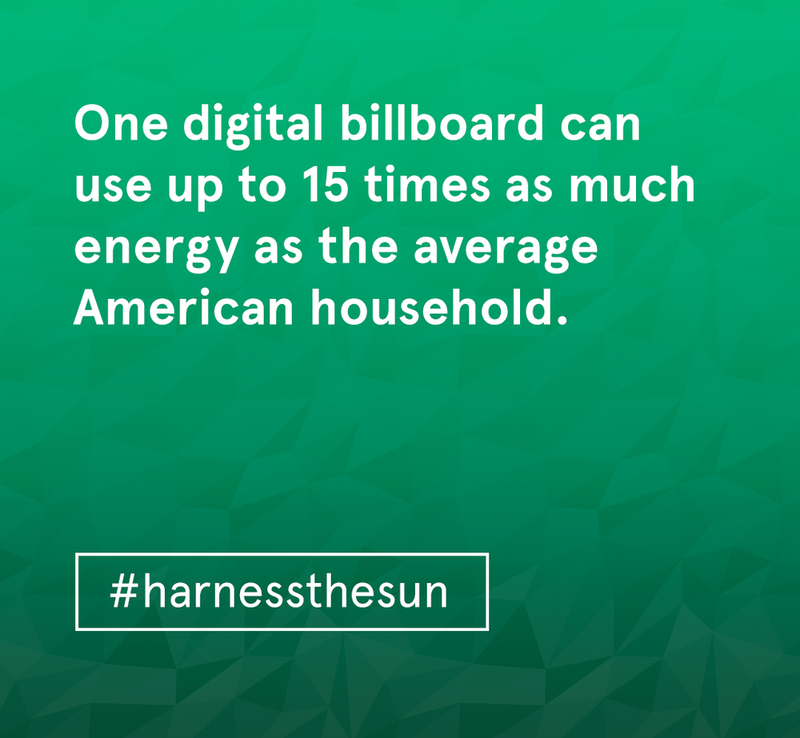 Solar City approached us in need of billboard messaging for a Times Square takeover set to launch in early October 2015. The date also corresponded with Inside Solar - a small conference being held in that same area, with high-profile attendees such as Elon Musk. A "Self-Aware" Times Square campaign was brought to life in a little over 2 weeks. The purpose of the "Self-Aware" campaign was to bring hard-hitting facts to Times Square around the massive energy consumption directly stemming from the Theatre District. But, we thought, why leave the messaging in Times Square? Pushing this campaign into the digital realm, we created a simple & free Tumblr with messaging tailored around energy consumption in the digital world. We purchased the domain www.harnessthesun.org, built our site and launched in less than 3 days in order to coincide with the October 2nd conference date.